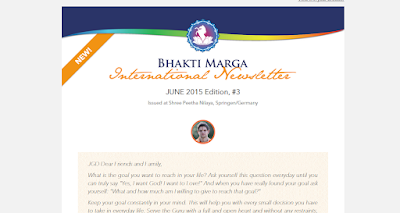 Paramahamsa Sri Swami Vishwananda / Bhakti Marga: Are you getting the BM Intl Monthly Newsletter? 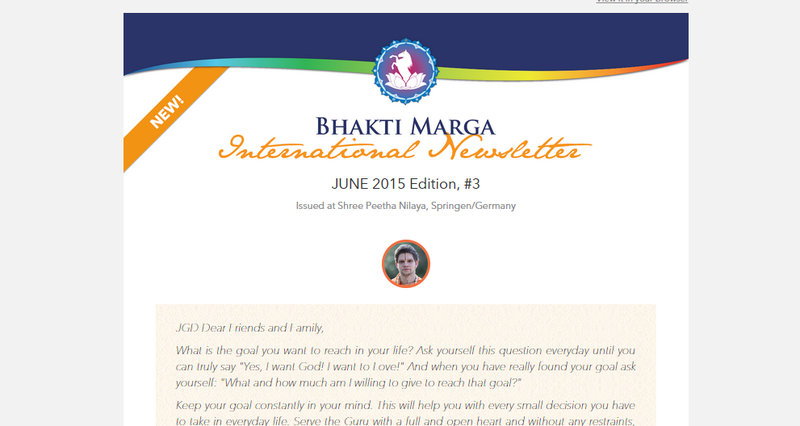 We've just sent out the June edition of the Bhakti Marga International email newsletter. Did you receive it? We're only a short few editions away before we switch away from our old database completely. That means, anyone who has not re-registered for the email newsletters will not receive them! If you didn't see the newsletter in your inbox, check it out here!